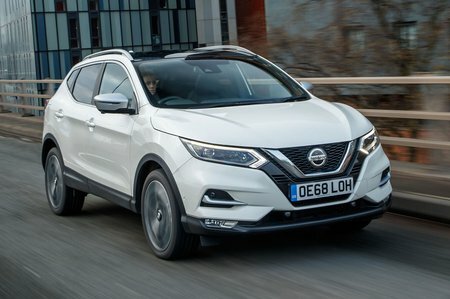 Nissan Qashqai 1.5 dCi  Tekna 5dr 2019 Review | What Car? Tekna brings part-leather (heated front) seats, with power adjustment on the driver's side, LED headlights, a self-parking system, a heated windscreen, a BOSE sound system and adaptive cruise control. It’s really expensive, though, and comes with 19in wheels that ruin ride comfort.